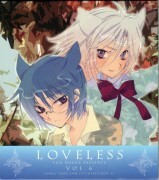 Uwaa..loveless always have nice illustrations. Thx for sharing! Ritsuka looks like a girl here!thanks! 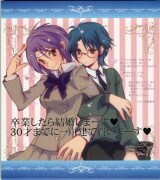 Wow, Ritsuka really does look like a girl here. Aw, cute girl. (Okay, boy.). 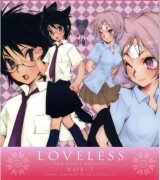 Very adorable Loveless Illustration though, <3 Actually the picture works well with the pink in the background though. so kawaii x3 thanks for the share! I havent seen this on before!